cold that coats all things, just the way the night does when you sleep through it with your eyes open and the roaring. 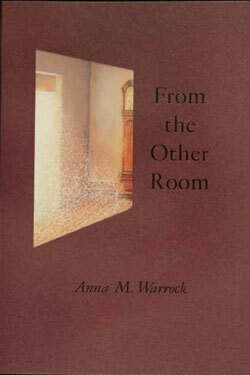 Anna M. Warrock speaks the language of grief with eloquence and courage. She understands that the experience of death changes the experience of life, that the shock of loss "reshapes / the room, the lamps, / the dust." In spare, precise, achingly lyrical verse, Warrock faces her ghosts and transforms pain into art. An adolescent girl stares into a cupboard after her mother's funeral, realizing "the glasses do not know my mother / is dead," that the world spins on despite our grief, and creates her own ritual, opening and closing the cupboard door, struggling to move on. The effect is quietly shattering. These poems may or may not console the poet. 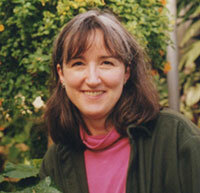 They will console the rest of us, who have been there, and who owe Anna M. Warrock our deepest gratitude. These elegiac poems approach profound loss as one might a new language, awed at first by its strange idioms and later by their beauty. I am reminded, reading Warrock, of the heartbreaking wit of Szymborska. Here, the speaker remembers, not with nostalgia but with wonderment, coming back to the knowing of a thing, setting it sorrowfully in its new and perfect context. From the Other Room is a lamentation, but tender and thorough. The clean, dry-eyed poems are authoritative, but their certainty is humble and quietly generous. The melancholy shines through with gemlike radiance. Anna M. Warrock paints in subtle color the varying shades of loss, with white snows that "fall dark against the sky," red seeds, lilac wind, the silver quality of the moon and of glass. A remarkable coolness pervades the poems, in content and sensitive attention to form-a calm necessary to the revelation of truth surrounding death within the confines of a family. Reckoning with what it means to live in the wake of early hurt, these poems are mature and gorgeous. Doug Holder interviews Anna as part of his ongoing series on the Boston area poetry scene. See the video here. Artist of the Month: Anna was featured as artist of the month by the Somerville Arts Council.